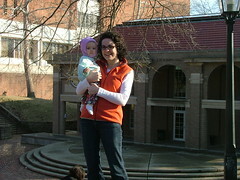 On our way home from Timberline we stopped at OU, my alma mater. 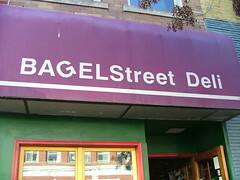 We had lunch at one of my favorite places, Bagel Street Deli. We walked around the College Green. And I showed Sophie the E.W. Scripps School of Journalism, where I took many of my classes. 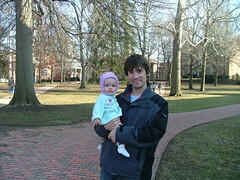 It was a strange feeling, walking my daughter around the campus I loved so much. I was in a very different place then—I miss it, not enough to want to be back, but enough to entice a strong feeling of nostalgia when there. 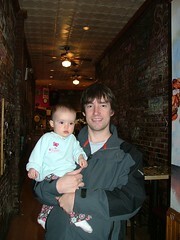 This entry was written by kara, posted on February 16, 2009 at 11:12 pm, filed under Uncategorized. Bookmark the permalink. Follow any comments here with the RSS feed for this post. Post a comment or leave a trackback: Trackback URL.